I am trained as a psychiatric epidemiologist with specific research interests in global mental health, adolescent health, and substance and alcohol use. My research investigates the impacts of culture and migration on substance and alcohol use patterns and how these relationships are related to experienced trauma and co-occurring mental health problems. I work on these issues both globally among HIV and trauma-affected populations in low- and middle-income countries as well as domestically among refugee and immigrant populations living in the United States. 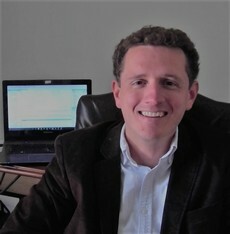 My research program is centered on advancing this line of inquiry through collaborations with academic institutions, NGO’s, international organizations, and government agencies in an effort to elucidate: 1) the types and patterns of substance and alcohol use problems prevalent among these populations, 2) how substance and alcohol use are related to mental health, 3) appropriate methods for reliable and valid measurement of substance, alcohol, and mental health indicators, and 4) developing, testing, and sustaining culturally relevant intervention strategies. Kane, J.C., Bolton, P., Murray, S.M., Lakin, D., Bass, J.K., Whetton, K., Skavenski-van Wyk, S.S., & Murray, L.K. (2018). Psychometric evaluation of HIV risk behavior assessments using Audio Computer Assisted Self-Interviewing (ACASI) among orphans and vulnerable children in Zambia. AIDS Care, 30(2), 160-167. Kane, J.C., Luitel, N.P., Jordans, M.J.D., Kohrt, B.A., Weissbecker, I. & Tol, W.A. (2017). Mental Health and Psychosocial Problems in the Aftermath of the Nepal Earthquakes: Findings from a Representative Cluster Sample Survey. Epidemiology and Psychiatric Sciences. Kane, J.C., Skavenski van Wyk, S., Murray, S.M., Bolton, P., Melendez, F., Danielson, C.K., Munthali, S., & Murray, L.K. (2017). Testing the effectiveness of a transdiagnostic treatment approach in reducing violence and alcohol abuse among families in Zambia: Study protocol of the Violence and Alcohol Treatment (VATU) trial. Global Mental Health, 4, e18. Kane, J.C., Ventevogel, P., Spiegel, P., Bass, J.K, van Ommeren, M., & Tol, W.A (2014). Mental, neurological, and substance use problems among refugees in primary health care: analysis of the Health Information System in 90 refugee camps. BMC Medicine, 12: 228.